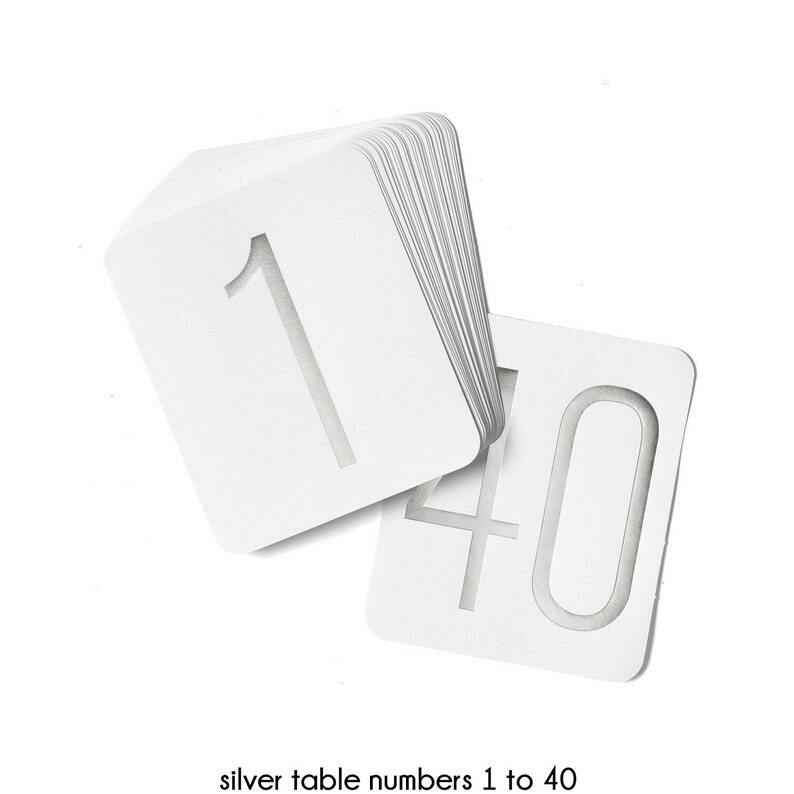 Table Numbers For Wedding Reception / Silver Table Number Cards 1 To 40. White cards with rounded corners and numbers 1-40 in silver foil. Table number stands sold separately.